Don't turn around, oh oh, The Commissary's in town | Eat. Play. Drink. Cape Town. That’s all true, but after eating there last night, let me tell you more. The space is small (previously Outrage Of Modesty, next door to Shortmarket Club, Simon and Wes’s other restaurant), it does not take bookings (please do not shout at the staff if you have to wait for a table or a seat at the bar), and the food is fab, fast, and super-affordable. 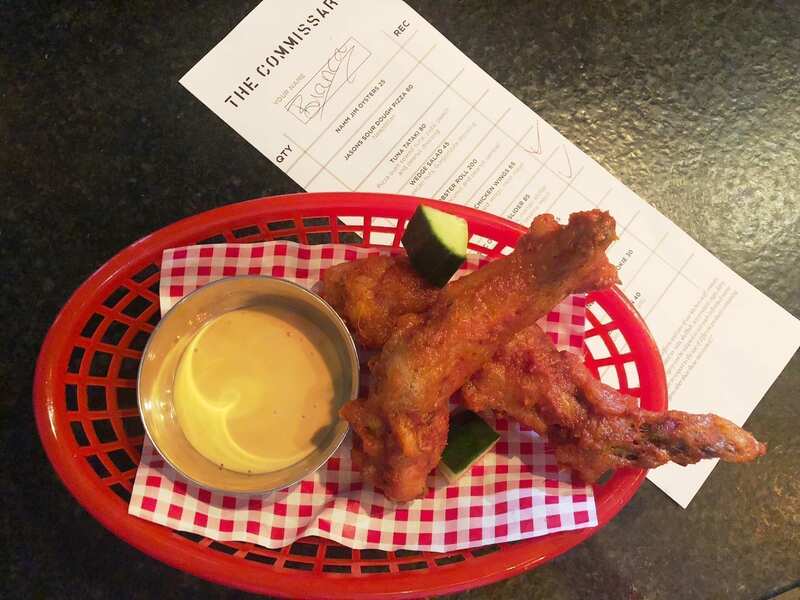 The Commissary opens at 5pm, which makes it the ideal place to pop in for an after-work drink and something to eat. 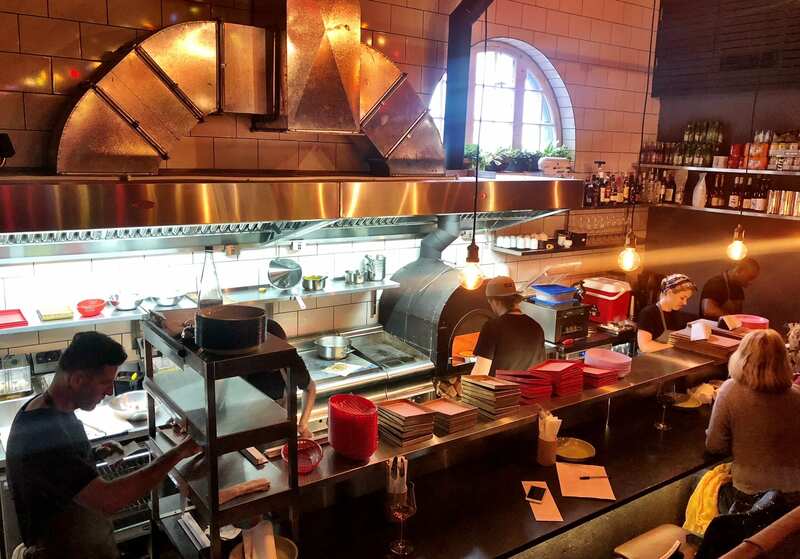 The bar counter runs the length of the tiny kitchen, where everything is prepared in front of you, the audience. If you get there early, you’ll probably see Wes calling the pass before he goes over to SMC for the later dinner service. With no reservations, the bar is an easy and comfortable spot if you’re on your own, while the larger tables on the upper level are communal. The menu is written on boards, as well as given to you on a long piece of paper on which you write your name and how many of each dish you want. After your order, it’s given back to you to tick off when your food is received. Because The Commissary is, as Wes explained to me, all about cooking the things that make them (chefs) happy, the dishes will change here and there. Included are collabs with other chefs, like Jason’s (one name and you know who I mean, rock stars the lot of them) sourdough used currently for a pizza; tomorrow (Friday, November 23) Kleinsky’s Delicatessen is coming on board with a few kilos of brisket which Wes is going to be putting into freshly-made tacos with Mexican trimmings. Prices are good – you can have a wedge salad with smoked pecan nuts and Gorgonzola dressing for R45, a Massaman lamb roti for R65, or go mad and have a lobster roll for R200. I took the middle ground with the already-famous SMC octopus sliders (R85) and Korean fried chicken wings (R65). Those sliders though…with mango atchar, tamarind dressing and sesame mayo, the octopus is panko-crumbed and so tender as to be virtually as soft as the bun. What sorcery is this, I wanted to know? Apparently the first thing you have to do, is beat the hell out of the octopus with a rubber hammer. I kid you not. The rest can remain a secret. The kimchi-marinated chicken wings with their crunchy batter, served with miso mayo for dipping, looked more like they came off a turkey, but that’s the beauty of chicken wings – they can be manipulated into all manner of interesting guises. Warning: these have a “tiny” bit of garlic (Wes held his thumb and forefinger slightly apart) so don’t order them if you’re planning on kissing anyone later. 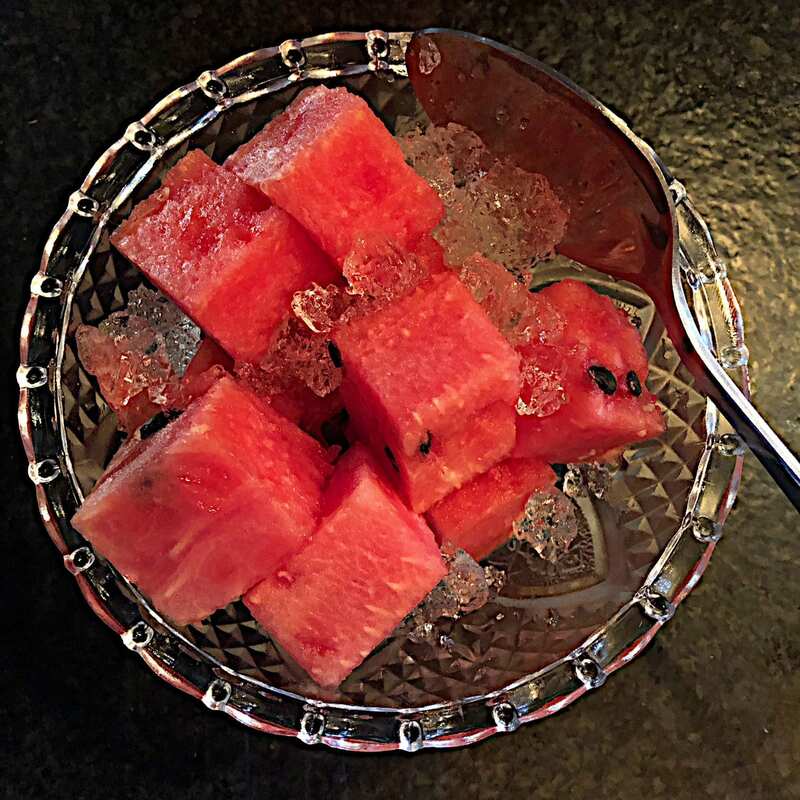 To finish, I had a pretty bowl of watermelon cubes with gin and tonic jelly. This is the perfect way to end a spicy meal, and refresh the palate. 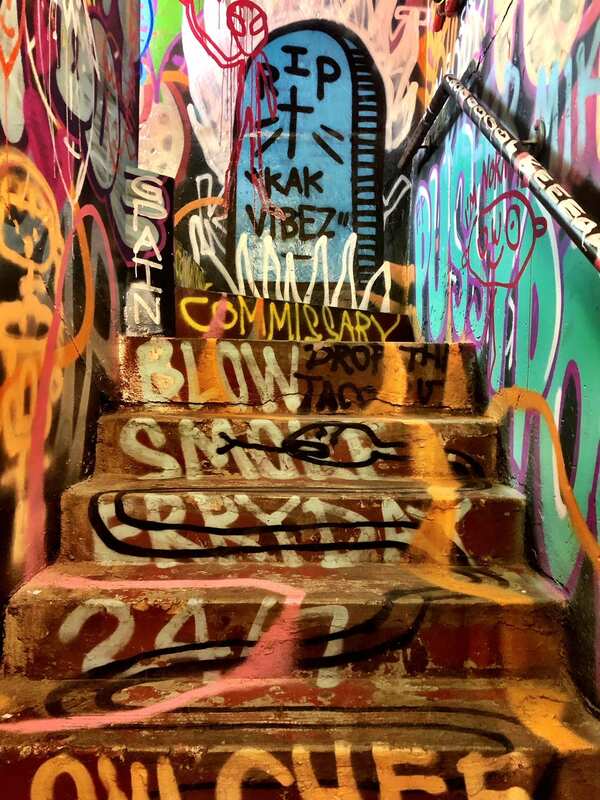 Fun and funky, with a riot of graffiti in the stairwell and bathroom but clean and simple in the restaurant itself, The Commissary is a welcome addition to our local food scene.